Motivated owners that are keen to sell. PRICE DROPPED NOW DROPPED TO $129,000.$129,000 - Yes, $129,000. 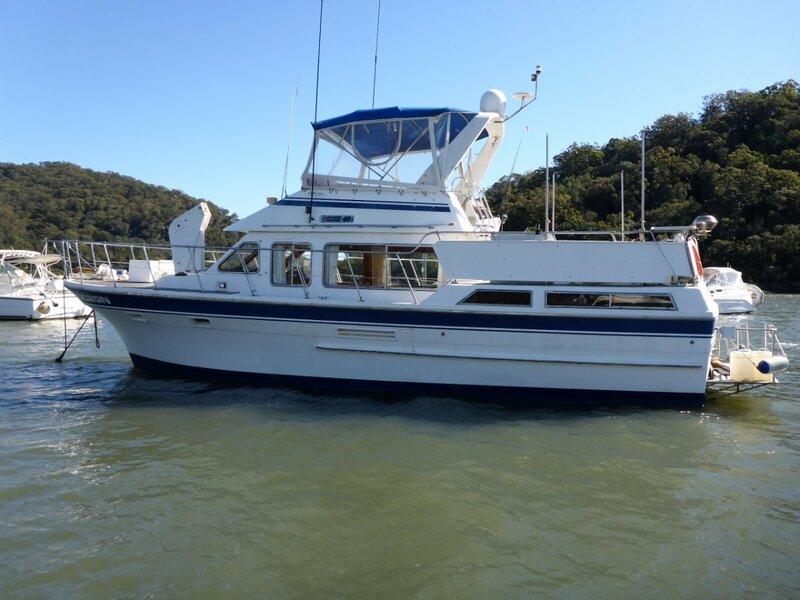 The current owners lived on board for several years enjoying the lifestyle and all the associated benefits. This is the preferred layout with the below decks entry from the rear Sundeck in addition to the side door from the lower helm. Powered by twin Volvo Penta TAMD60C engines, showing approximately 3,000 hrs, Onan 6.5 KVA Genset, inverter, 12 / 240 volt. Twin cabin with a huge aft cabin with ensuite, plus forward cabin with its own head. Great galley with a Princess electric stove, hotplates, microwave, loads of storage, U-Tec galley fridge & freezer with an additional saloon fridge. Unlike many the fuel tanks were replaced within the last 4 years with new PVC tanks, hence no smell of diesel when you board. Cruiser air conditioning, Navman Tracker 5500 GPS, Navman 4500 sounder / fish finder, Ocean 37 Mr Marine ocean TV satellite tracker, 2 x LCD TV / DVD players, 5 batteries.